Recently published online, and forthcoming in print in Antipode 46(2), Vera Chouinard’s ‘Precarious Lives in the Global South: On Being Disabled in Guyana‘ begins with an simple observation: most of what is known about disabled women’s and men’s lives is based on research conducted in the Global North, despite the fact that 80% of the world’s one billion disabled people live in countries of the Global South. Vera’s paper addresses this gap in our understanding of disabled people’s lives by examining impairment and disability as outcomes of processes of social embodiment that unfold in an unequal global capitalist order. Drawing on 87 interviews conducted with disabled women and men in Guyana, the article illustrates how colonial and neo-colonial relations of power and processes of development give rise to material conditions of life such as extreme poverty and male violence that contribute to impairment and disability. The article concludes by discussing contributions to praxis, challenges in developing southern perspectives on impairment and disability, and the need to address socio-spatial injustices experienced by disabled people in the Global South. Vera is a Professor in the School of Geography and Earth Sciences at McMaster University. Her current research examines disabled women’s struggles for inclusion and well-being in the developed and developing world; impacts of state policies, laws and regulatory practices on disabled peoples’ lives, rights and places in society and space; the role of gender, class and other social differences in processes of empowerment and marginalisation in society and space; and the political economy of urban change with a particular emphasis on collective struggles for community-based assisted housing and legal services and over state regulation of those services. 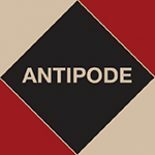 As well as Antipode, you can read this work in Disability and Society and Health and Place, among other places. For more on disability, embodiment and related issues, see Michele Friedner and Jamie Osborne’s ‘Audit Bodies: Embodied Participation, Disability Universalism, and Accessibility in India‘; Pamela Moss and Isabel Dyck’s ‘Body, Corporeal Space, and Legitimating Chronic Illness: Women Diagnosed with M.E.‘; and Vera’s classic paper, co-authored with Ali Grant, ‘On Being Not Even Anywhere Near “The Project”: Ways Of Putting Ourselves In The Picture‘. This entry was posted on 8 October 2013 by Antipode Editorial Office in Video Abstracts and tagged accessibility, audit, chronic illness, colonialism, disability, embodiment, Global South, Guyana, impairment, inclusion, India, participation, postcolonialism, poverty, socio-spatial injustice, violence.